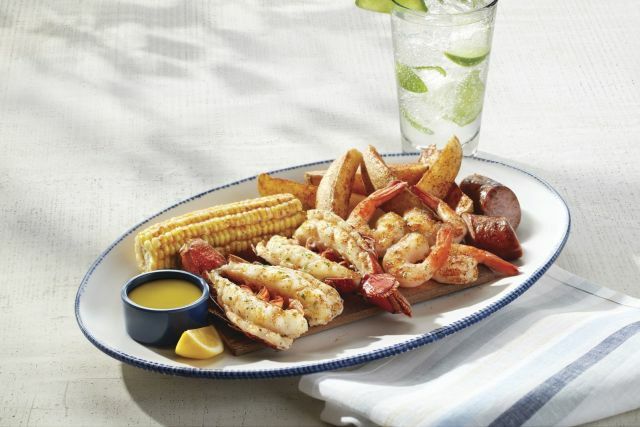 Red Lobster celebrates the summer with the return of Lobster & Shrimp Summerfest menu, featuring four seasonal lobster and shrimp combos. They're also added new Tuna Poke to their Tasting Plates menu. - New Cedar-Plank Seafood Bake - Jumbo shrimp and two petite Maine lobster tails with garlic and signature Chesapeake seasoning, roasted on a cedar plank with smoked sausage. It comes with fresh corn and potato wedges. - Caribbean Lobster and Shrimp - Grilled rock lobster tail topped with a coconut beurre blanc and pineapple relish, paired with Parrot Isle Jumbo Coconut Shrimp. It's served with rice and a choice of side. - Lobster and Shrimp Overboard - A grilled Maine lobster tail, garlic-grilled jumbo shrimp skewer, langostino lobster-and-shrimp zoodle (spiralized zucchini) pasta, and hand-battered jumbo shrimp. It also includes rice and a choice of side. - New Langostino Lobster-and-Shrimp Zoodle Pasta - Langostino lobster and shrimp tossed in a lemon-and-roasted-garlic sauce with linguini and zoodles, fresh tomatoes, and basil. 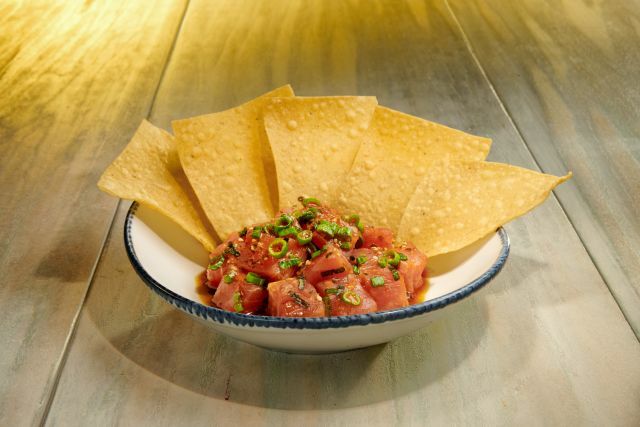 Tuna Poke features sushi-grade ahi tuna in a soy-sesame marinade, topped with green onions and served with tortilla chips for about $5.99 (varies with location).